Los 300, anuncian 6 nuevas fechas tras varios "soldouts" en el arranque de "The Fighting Kangaroo Tour"
Los 300, el trio granadino formado por Manuel Collados, Zeke Olmo y Jimi García, también componentes de Eskorzo, anuncian 6 nuevas fechas tras varios "soldouts" consecutivos en el arranque de la gira de "The Fighting Kangaroo"
Los 300 han vuelto con los guantes puestos al cuadrilátero soltando 13 golpes canallas a la música latina, al swing y al estandarizado jazz funk en el elegante “The Fighting Kangaroo”, su nuevo LP. 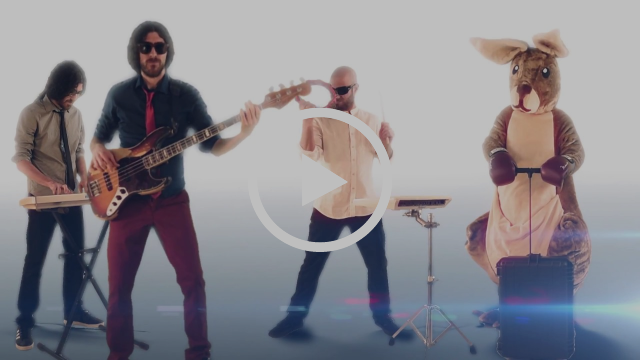 Tras su sorprendente primer album “The Monkey Howler Times”, con el cual irrumpieron en la escena de la música negra, el jazz y el movimiento tropical, pasando por festivales como Weekend Beach, Imagina Funk o Sonidos Líquidos, llamaron la atención de los espectadores por su auténtica forma de tocar a base de loops orgánicos, sonando en escena como si fueran trescientos músicos, de ahí su nombre de pila. Ahora, Los 300, regresan con “The Fighting Kangaroo”, un disco más festivo y maduro, compuesto por 13 ganchos musicales cada cual con su intensidad que dejarán KO al oyente. El arranque de esta nueva etapa, ha comenzado de la mejor forma, agotando entradas en sus primeras presentaciones, encantando a su parroquia de seguidores y haciendo nuevos devotos, sonando en medios como Radio 3, Canal Sur TV o Gladys Palmera y siendo seleccionados por AIE Artistas En Ruta para el último ciclo del año. Ahora los canallas del groove nos anuncian 6 nuevas fechas dando comienzo a su nueva gira de verano, entre ellas el Slap Festival de Zaragoza, Festival Las Dalias en Ibiza, Picante Festival y Membrillo en Granada, y muy pronto nos anunciaran nuevas confirmaciones, hay que estar atentos a esta banda. Brazilian Guitar Virtuoso Romero Lubambo! New CD - Sampa - Available Today (5/5/17)! Not many musicians are more enthusiastic about performance and collaborations than Romero Lubambo is. The virtuoso guitarist has been based in the United States for decades but regularly makes it back to his native Brazil for innumerable projects with musicians of all sorts. On one of these trips, Lubambo met drummer Thiago Rabello. The Rio de Janeiro born Lubambo was greatly impressed by the percussionist from São Paulo during a weeklong residency in Bahia. So when the guitarist was scheduled to perform in São Paulo shortly thereafter, he naturally reached out to Rabello to be his drummer and to help find a bassist. It was with the suggestion and addition of Sidiel Vieira that Lubambo’s Brazilian trio became whole. In Rabello and Vieira, Lubambo found two musicians who are excellent players and fantastic people. Upon his arrival in Brazil, Lubambo found that his trio mates had not only learned his music but had memorized it, requiring only one rehearsal before they were able to take their music on the road. The trio’s rapport can be heard on their new recording Sampa, an energetic and diverse program recorded in São Paulo (the title being a local colloquialism for the city’s name) at Rabello’s recording studio. The recording features Lubambo mainly on acoustic nylon string guitar, though he does record a couple of pieces with his solid body Les Paul, an instrument he keeps in Brazil to play for his more electric guitar savvy fans. The music is a mixture of Brazilian music, like bossa nova and forró, and jazz with a little blues mixed in. The program begins with accordion legend Dominguinhos’s “Gostoso Demais,” an incredibly popular song in Brazil that the trio plays in a hazily insistent manner. The trio shows its dexterity on Mauricio Einhorn and Durval Ferreira’s “Estamos Aí,” a fun piece from the bossa nova era that’s title means “ready for anything.” “Contrato De Separação” is a beautiful Dominguinhos composition about trying to separate oneself from saudade, the nostalgic longing, for someone who is gone, and is appropriately melancholy. The electric guitar is in full swing on Lubambo’s “New Slash Blues,” a grooving piece showing Lubambo’s unfiltered side. “Paquito In Bremen” is Lubambo’s moving tribute to friend and woodwind maestro Paquito D’Rivera, revisited here in an expanded trio setting. Lubambo’s “P’ro Flavio” is a spirited piece written in the Baião style of northeastern Brazil for the guitarist’s super supportive father. The lovely “Nature’s Beauty” was written by Lubambo and his wife, Pamela Driggs, for their then three year-old daughter. The electric guitar is back on the second line flavored “Dipper Mouth,” a tune from the pen of Lubambo’s “American father,” Herbie Mann. “Luisa” is another moving lilting tribute to Lubambo’s daughter that he wrote more recently. Lubambo and Paulo Cesar Pinheiro’s dedication to Brazilian legend João Donato, “For Donato,” utilizes a Brazilian meets Latin rhythm that the pianist has used throughout his storied career. The album concludes with another touching ballad entitled “Song For Kaya,” which the guitarist wrote many years ago while on tour with Harry Belafonte. 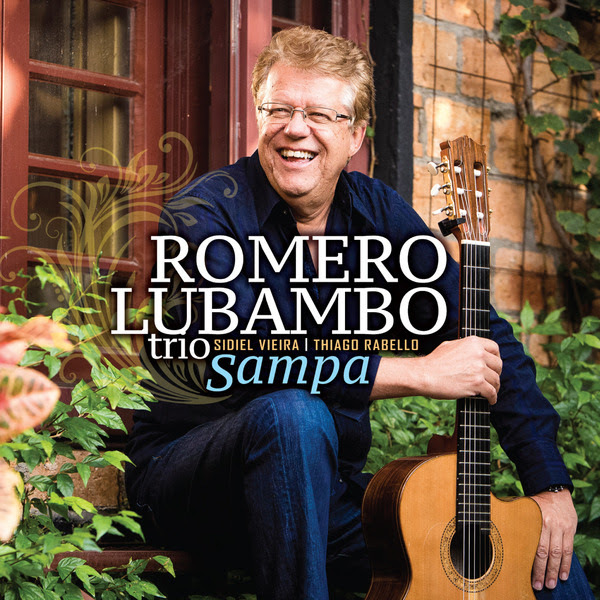 Guitarist Romero Lubambo regularly makes music that moves listeners with its soul and effervescence. Thus, his meeting with two incredible São Paulo based musicians, Thiago Rabello and Sidiel Vieira, on their new recording Sampa is inspiring and exciting. Saturday, May 13th - "The Peggy Lee Legacy" 8pm @ Davenport's - Jeannie Tanner special guest trumpeter with Jenifer French Dravillas and all-star cast: Daryl Nitz, Johnny Rodgers, Ann McGregor, Joe Policastro & Chuck Christiansen. 8/12 vocalists: Alyssa Allgood, Andy Pratt, Abigail Riccards & Michele Thomas, with special guest appearances (TBA). Copies of the new 2-set cd will be available for purchase. 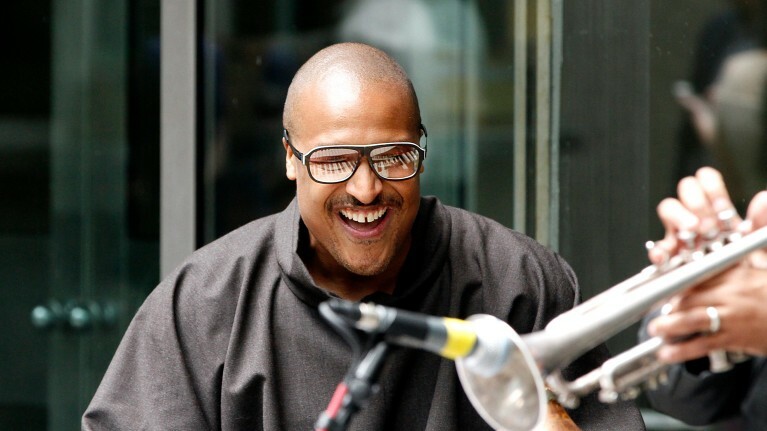 "Chicago does not lack for engaging jazz trumpeters, vocalists, pianists, bandleaders, songwriters and arrangers — but how many can do it all? Jeannie Tanner happens to be one... If you've ever been fortunate enough to hear her pick up a horn, or sing a ballad or unveil an original song, you know that she practically exudes music." "With a dozen Chicago vocalists and a raft of compositions -- many written with those particular vocalists in mind -- Jeannie Tanner's double-disc constitutes a love letter to the city's jazz singers. And hearing their performances, the feeling is clearly mutual." 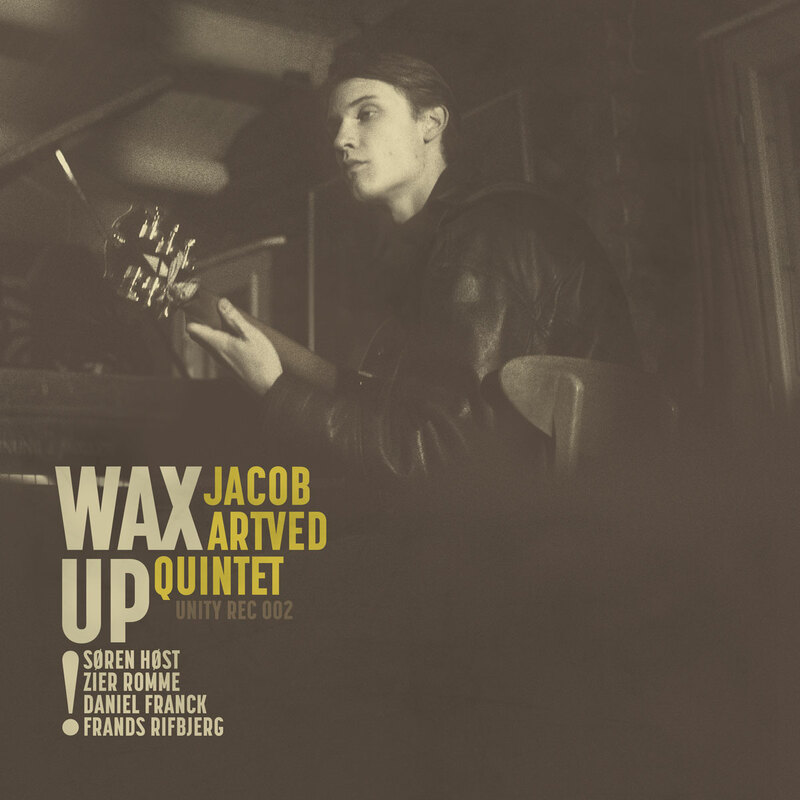 "It (WORDS & MUSIC) needs a ground swell to make it a national treasure and focus some love back on Chicago jazz... Killer stuff that’s must hearing for anyone looking for something new and different that doesn’t stray from tradition. Well done throughout." This album is a tribute to pianist Steve Plews' relative Euphemia Allen, the composer of "Chopsticks", possibly the most famous piece of music for the piano (and most annoying!) ever written. Euphemia wrote Chopsticks at the age of 16 under the pseudonym Arthur de Lulli and was the sister of Steve's Great Uncle; Mozart Allen; the Scottish music publisher. 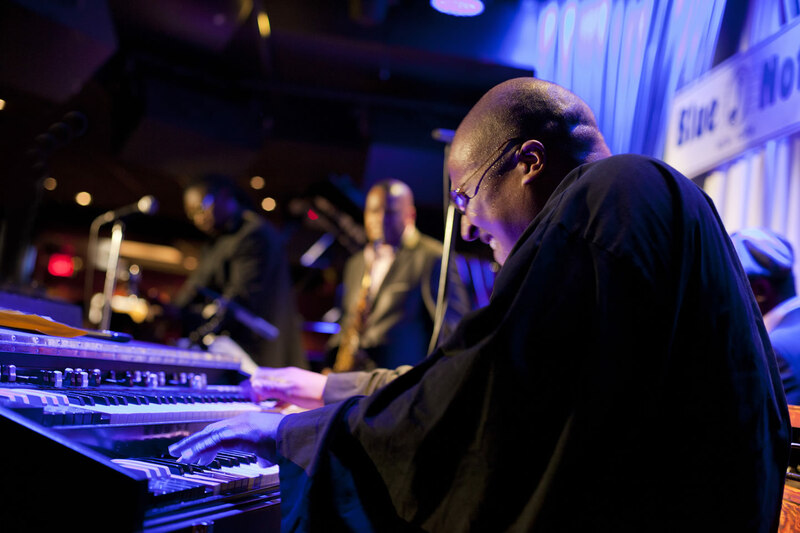 'The Importance of What is Not' contains two versions of Chopsticks, one arranged more in the style of Don Pullen or McCoy Tyner than the normal simplistic tune is traditionally heard. The second is a heartfelt tribute to Steve's Great Uncle, has a hint of Ravel and harmonic influences of one of Steve's heroes the late, great Paul Bley. The album is a mixture of specifically composed works and free improvisation. 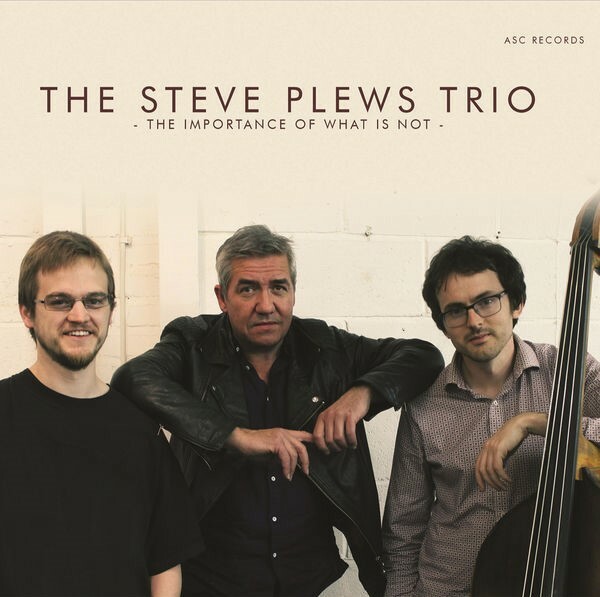 Steve's trio is completed by Gavin Barras on double bass (a regular member of Matthew Halsall's band) and Johnny Hunter on drums. The 30-minute ensemble showcases at the annual Chamber Music America conference typically run the gamut from string quartets to small jazz combos to the occasional outlier—a reed quintet (which replaces the ute and French horn of standard wind quintets with a saxophone and bass clarinet), a klezmer band, or at the most recent conference, a duo of trumpet and kora (the 21-string harp-lute played in Mali, Senegal, and the Gambia). 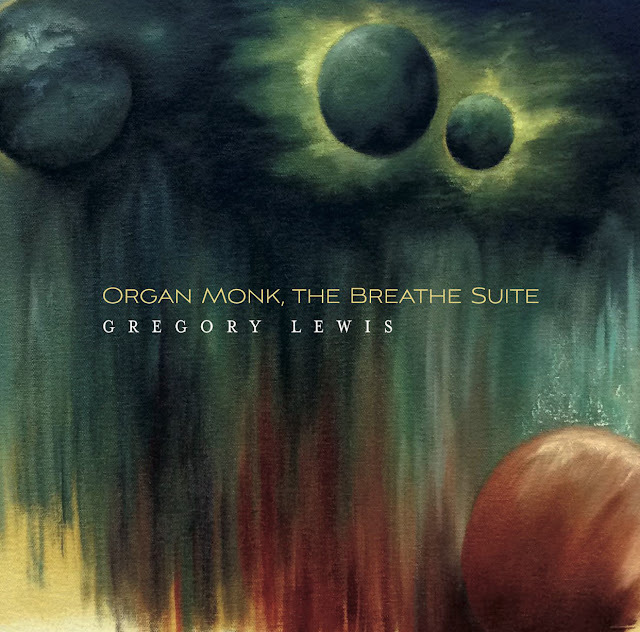 But one of the most unusual groups ever to be presented at the CMA conference, in 2016, was an organ trio fronted by Greg Lewis (a.k.a. Organ Monk). 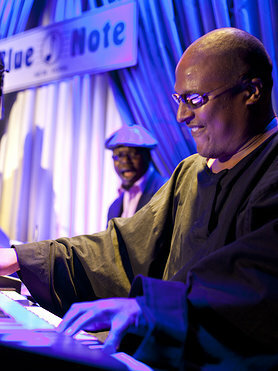 A virtuoso on a Hammond B-3 electric organ accompanied by electric guitar and drums set has been a popular instrumental combination for soul, jazz, and R&B for more than half a century, but the material performed by Lewis and his sidemen—a standard, a Thelonious Monk classic, and some Lewis originals—took the format to some unexpected places. The music was contrapuntally intricate yet super funky, and often incredibly loud. Their rendition of “Lulu’s Back in Town” was joyously raucous and their take on Monk was appropriately o -kilter. But the new material was what was the most revelatory. Each of Lewis’s pieces was dedicated to an African American who had been killed during confrontations with police o cers. Of course music, unless it involves singers and sung words or an interpolated spoken word narration, is more abstract and introspective than a news report can ever be. But merely attaching a verbal title to an instrumental composition anchors it for listeners and has the potential to serve as an outlet for a deep emotional interface with a topic that can transcend an immediate reaction to a eeting headline. Think, for example, how a work like Penderecki’s searing Threnody for the Victims of Hiroshima conveys the horrors of atomic warfare in a way that is far more visceral than reading a history book (even though the title was actually an after- thought). Michael Brown, Eric Garner, Trayvon Martin, and the horri c episodes that led to their deaths have been permanently etched into the general public’s conscience. But Lewis, by a xing their names to his musical compositions, provides a platform for their stories to enter our subconscious and for audiences to pay tribute to who these people were. This music, though at times dirge-like and appropriately angry, is ultimately resilient and celebratory; it allows us not only to mourn their deaths but to remember their lives. After “…was there to illuminate the night sky…”, “Bruder Beda” and “Human Encore”, this one with Joe McPhee as special guest, Trespass Trio is back to tell us another story without words. There’s a narrative structure developing from start to finish, with a cinematic quality, but everything goes through an emotional level (from rage to a disarming tenderness) and the clear invitation to imagine scenarios, characters and dialogues. Again, that story has political connotations. Pitesti is a Romanian city which got notorious because the local prison was home of brainwashing experiments during the totalitarian regime. In that process of “reeducation” of the prisoners, violence between the inmates was encouraged by the secret police. The procedures got so out of hand that the communist authorities stopped everything five years later. The prison staff was pardoned (of course! ), but some inmate collaborationists were condemned to death. Combining composition and improvisation, rigor and passion, minor tones and grand gestures, the music touches us deeply. 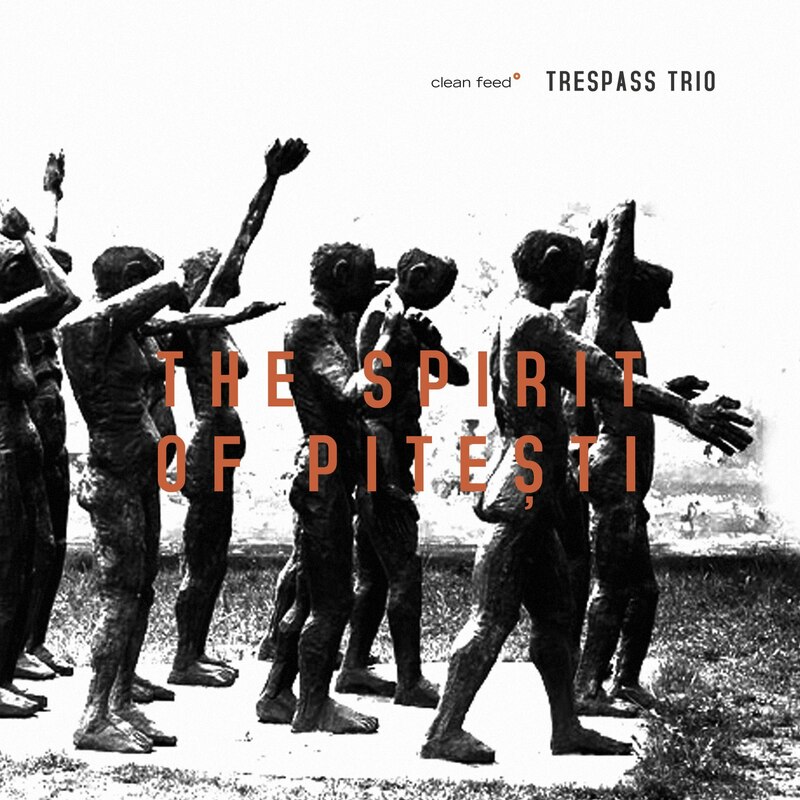 Trespass Trio became one of the most defying units of the contemporary European jazz and each new opus is a masterpiece. “The Spirit of Pitesti” is no exception. Not to be missed.